It is the most common thing that almost all of us have to experience at workplaces. There are bosses who have least control on their tempers and hence, they end up making scenes of every single issue by shouting and screaming. They find it to be the easiest way to deal with their anger. But the truth is that nobody has the right to yell at others at work, not even the boss. However, if you want to handle the entire situation tactfully, stay silent during the whole episode. Make sure that you look straight to his / her eyes instead of looking down. In short, stay absolutely cool and behave like nothing happened at all in order to make your boss shameful. Your coolness might stop him / her from doing the same thing in future. Some bosses simply deny interacting with company staff. They are extremely rude and never ever want to face the issues that are going on in the operational level of the organization. It is truly tough to speak to these types of people as they always create a boundary around them. But you need to be confident while dealing with them. Or else, you will never get heard. Be courteous while approaching such a boss for a 5-10 minutes of discussion session, but do not lose your self-belief. It would make him / her keep your request. However, be very punctual in such cases and try to be as precise as possible while expressing yourself. It will help things go on smoothly. Lots of bosses immediately say ‘no’ when an employee applies for a leave. But the fact is that if you have proper reason and if there are still pending leaves in your account, nobody can reject your application. It is recommended that you keep a count of how many leaves you have already taken and how many are left. When your boss is about to disapprove your application, just remind him / her about your pending leaves. Also, do not forget to keep your HR in CC while sending the leave application. It will help you prove the truth of your words. Finally, there are quite a few bosses who love to insult their employees and that too openly. They are exceptionally proud of their power and like to ‘utilize’ it in such a manner. 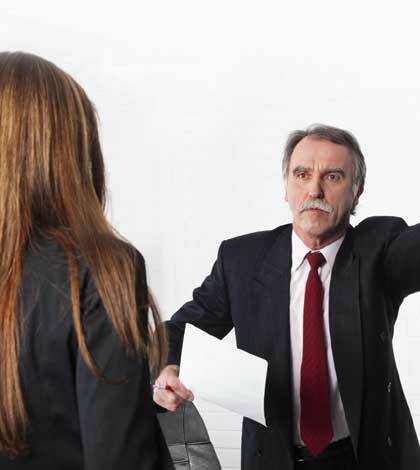 It has been seen that this type of bosses are quite well known of their own limitations, which makes them insecure and they eventually try to hide those shortcomings by harassing their staff. 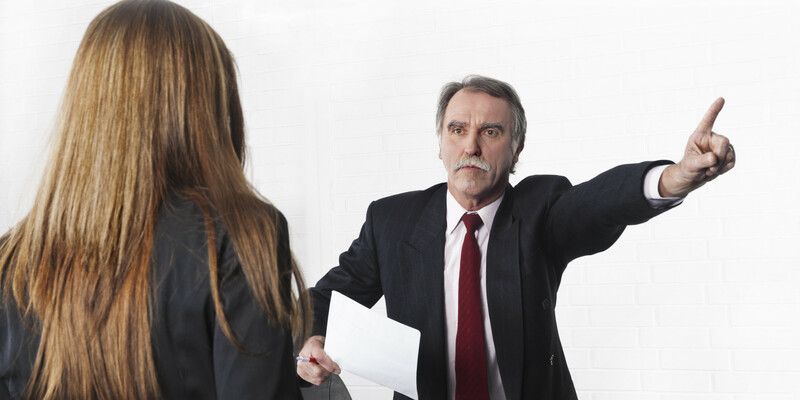 If the behavior or the language of your boss becomes abusive, raise your voice against it without letting it grow further. If it does not stop him / her, just lodge a complaint to the person above him / her on the hierarchy or the HR personnel by stating everything clearly.